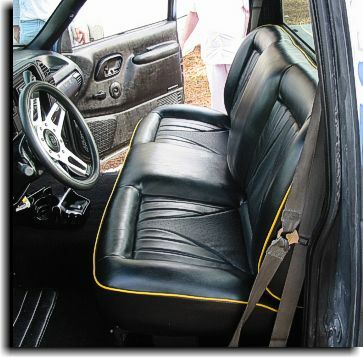 Below is other various truck seats done by Catalina Custom. 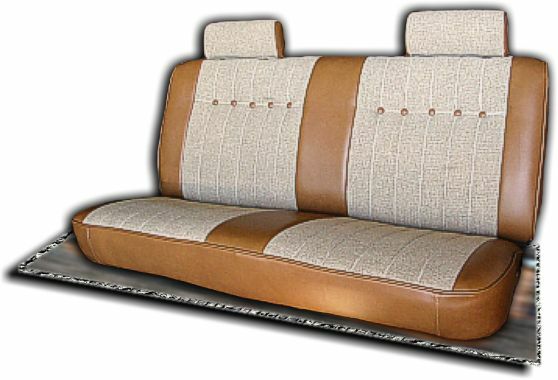 These seats reflect some of the different designs, material combinations, accent welting and colors that can be used to make a customers truck very nice looking and unique. 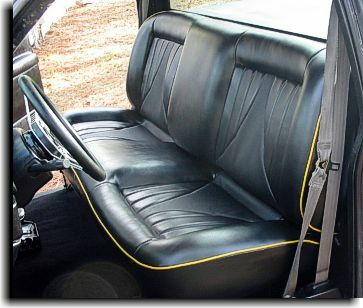 The Chevrolet truck seat below is set apart because of the extent of the work involved and the unique design incorporated into the inserts. 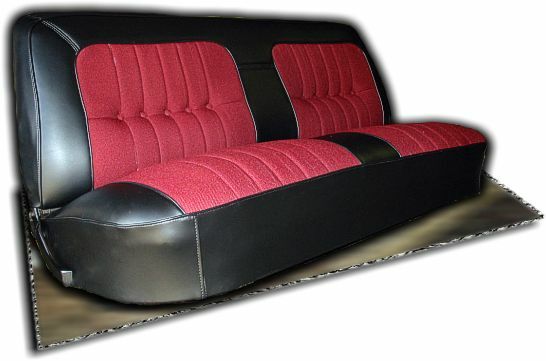 This seat is the first step in a show truck build by Mr. Cody Cecil of Hernando Beach, Florida. 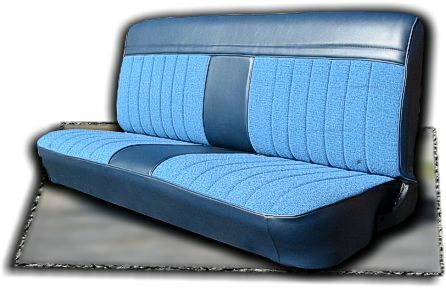 Mr Cecil had a concept of a seat that would be comfortable to sit in and a different design. 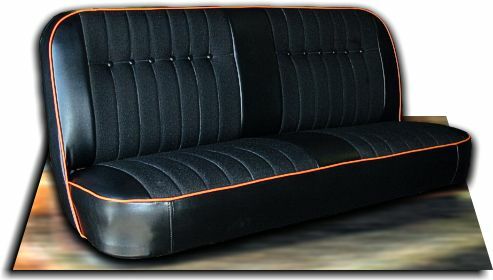 Mr. Cecil and Catalina Custom drew the basic design on the original flat seat and then custom fit the foam to him. 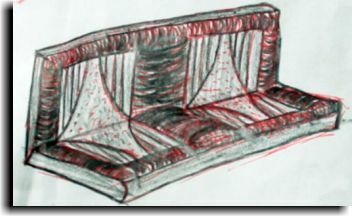 Mr. Cecil went home and sketched out the design, we made a few more adjustments and Catalina Custom built him the seat he wanted. 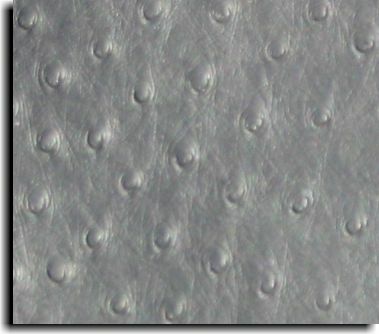 The seat has a 2" build up for the bucket effect. 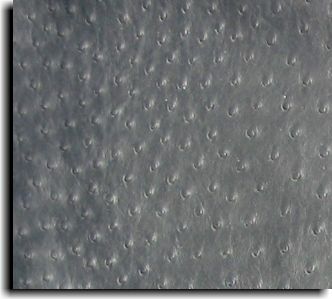 The seat is covered using an Ostrich designed vinyl for the curved sections of the inserts. 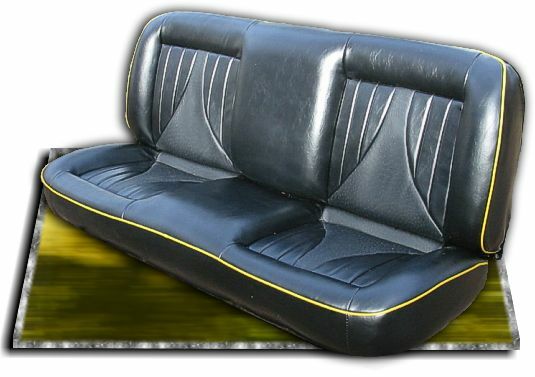 The welting is a yellow Gemini pattern designed vinyl (to match the future paint job for the truck) and the rest of the seat is Islander Ebony marine vinyl that is very rich looking with a nice soft hand.